Inshore Addiction Guide Service is located 25 minutes south of Houma, La and approximately 90 minutes from New Orleans, La in the heart of the marsh. ﻿﻿Captain Will Bertrand was born and raised fishing the marshes of South Louisiana. He has a true passion for fishing and sharing what Louisiana has to offer. 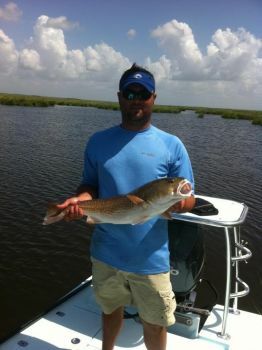 Captain Will specializes in sight fishing for redfish, whether it be on fly or light tackle and also can accommodate the occasional speckled trout trip.